Babycape There are 6 products. Babycape ou Step out or the bath, 75x75 cm, little star, embroidered, 100% towelling cotton. Colors on the babycape : pink, gray and brown. Babycape ou Step out or the bath, 75x75 cm, astronaut, embroidered, 100% towelling cotton. Colors on the babycape : beige, blue, brown, white and gray. 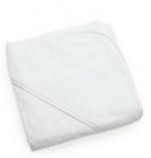 Babycape ou Step out or the bath, 80x80 cm, Plain white, 100% towelling cotton. Bath cape embroidered 72x72 cm 100% cotton percale lined sponge. 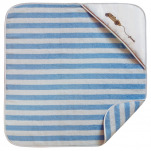 Blue and white line wrapped baby bath cape allowing comfortably. Bath cape with integrated hood, white with automotive design is perfect to gently dry her hair. 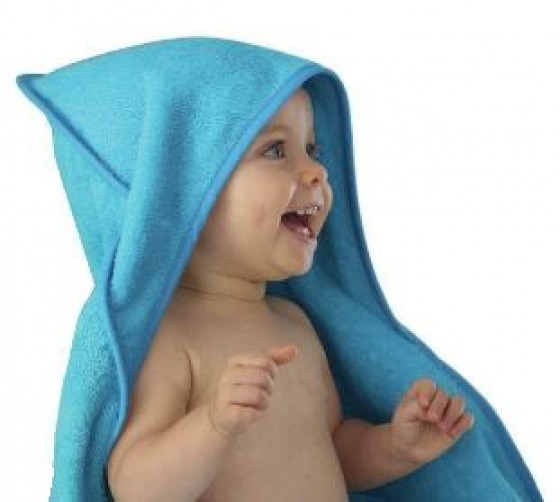 Soft, solid and very absorbent bath cape. Ironing not necessary. Babycape ou Step out or the bath, 80x80 cm, Plain white ecru, 100% towelling cotton. Babycape 90x90 cm towelling 100% cotton, 400 gr/m². Available in 3 colors.